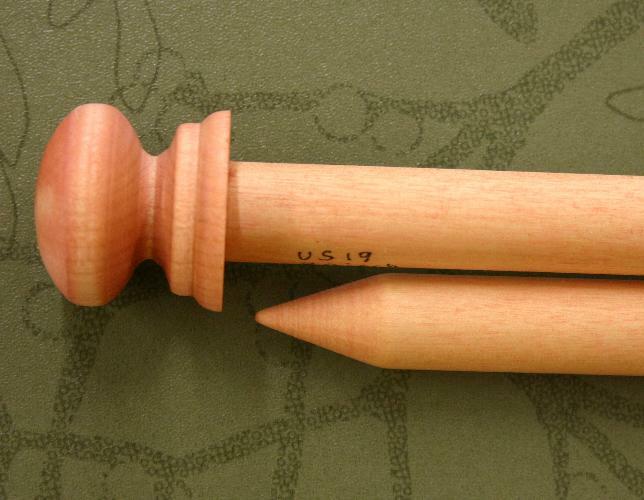 Big Knitting Needles for bigger stitches from Knitting with Friends. 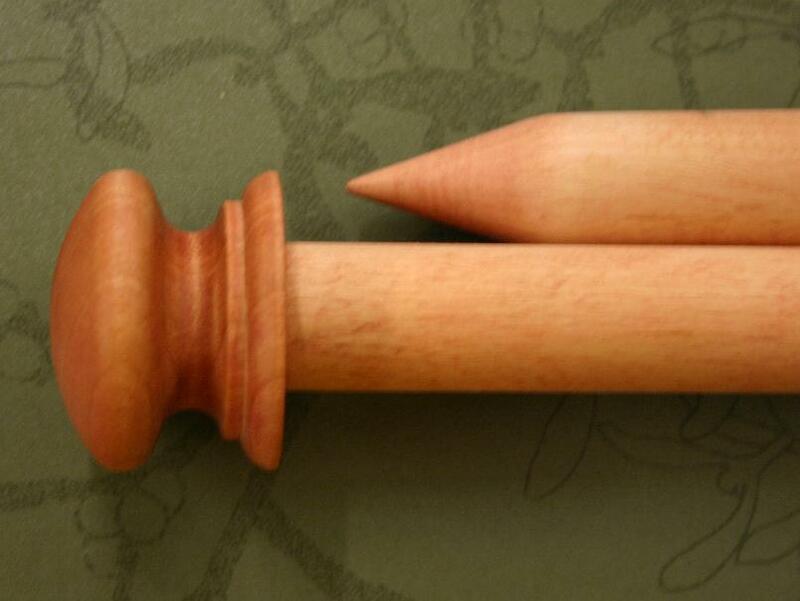 Available in sizes US 17 to US 50 (13 - 25 mm) in popular lengths. 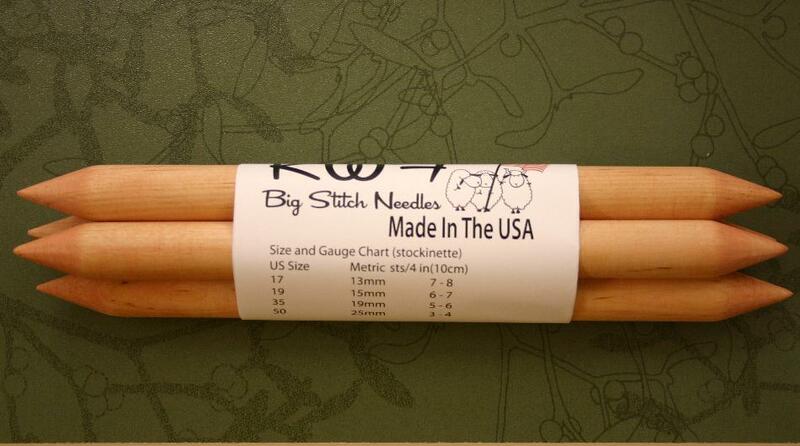 Created for the serious big stitch knitter, all needles are hand made in the United States from Birch and other quality hardwoods. 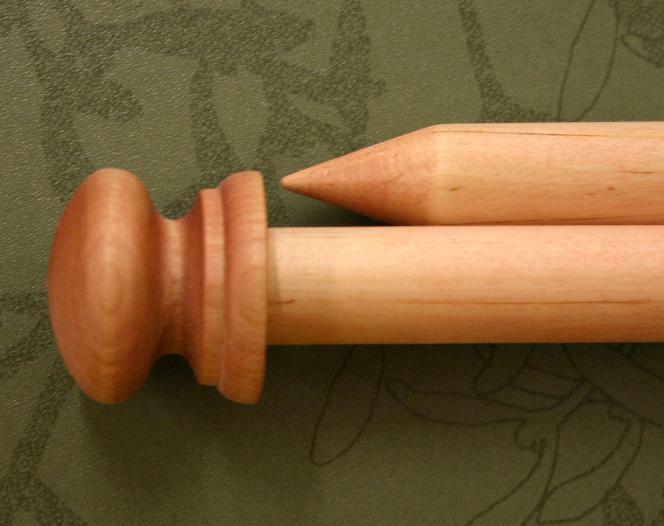 Double pointed needles are a generous 10 inches (250 mm) long and come in sets of 4.